SAN DIEGO — “Beetle Queen Conquers Tokyo” will be screened on Thursday, May 30, at 7:30 p.m. at the San Diego Natural History Museum, 1788 El Prado in Balboa Park. The documentary opens in modern-day Japan, where a single beetle sold for $90,000, and delves into the country’s age-old love affair with bugs. Working backward through history, the film untangles the web of cultural influences behind Japan’s rich and enriching relationship with insects. 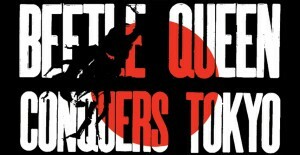 First released in 2009, “Beetle Queen Conquers Tokyo” was nominated for the Truer Than Fiction Award at the 25th Independent Spirit Awards. Admission is $9 for members, $12 for non-members. For more information on the museum, visit www.sdnhm.org/. For more information on the film, visit www.beetlequeen.com/.